Parking for backpackers in Perth is some of the most expensive in the world. We are the only hostel in the area where you can park your car, van or bike for free. Other hostels are charging between $10 - $20 p/day and the street parking is crazy expensive so if you're a road tripper or commute to work Billabong should be you're number 1 choice. 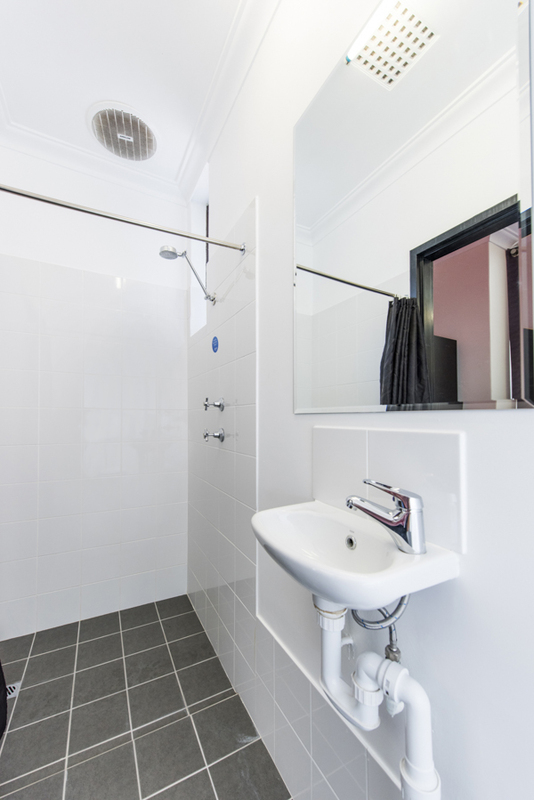 Every room in our backpackers has an en-suite bathroom. No more nudie runs to the communal bathroom you have to share with 40 people! You're bathroom is for you and you're room mates only. That's a little luxury for backpackers when you've been on the road. Our Wi-Fi is free and unlimited in our common areas as it's essential for backpackers. You can check in to @billabongresot and have lots of #yolo moments. Yes, that's right. We've got Perth's biggest and best backpacker pool so you can stay cool during those long Perth days. It's a centre of all our activity and it's where you'll be making new friends soon. We offer a simple free breakfast every morning. We've got 3 cereals, milk, bread for toasting, spreads, jams, peanut butter and tea & coffee. Backpackers love it and you can eat as much as you like!